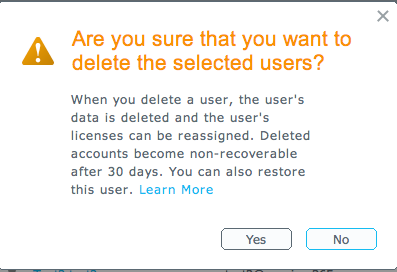 When a user is deleted, the system will retain the user information (including the assigned username) and allow the user to be restored for up to 30 days. A user can't be created with the same username as the deleted user, which could result in conflicts with usernames and proxy addresses. To assign this username again, the deleted user must be restored. 1. Log into the Admin Portal located at http://portal.microsoftonline.com. 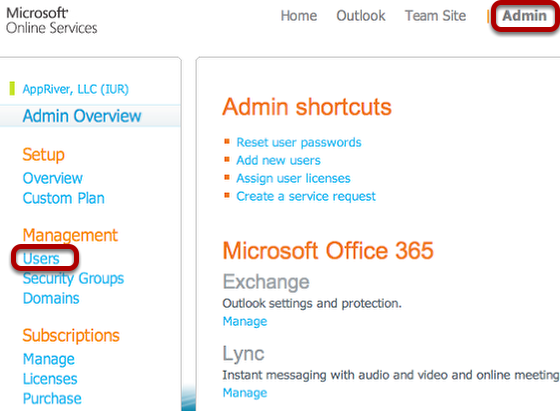 On the Admin Overview page, under Management, click Users. 2. 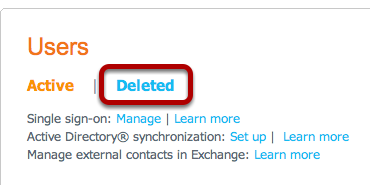 On the Users page, select the check box next to the user/users that need to be deleted. Click Delete. 3. A pop-up window will appear explaining the results of the deletion and asking for confirmation. Click Yes to confirm. 4. 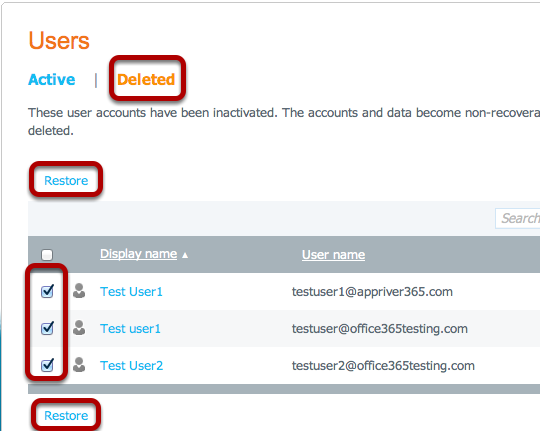 Restoring a user or users is also accomplished from the User page. 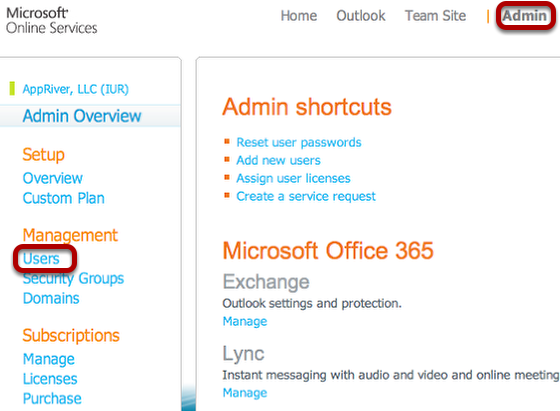 From the Microsoft Office Portal, click Users under Management. 5. On the Users page, click Deleted. This will display a list of users that have been deleted. Users will be listed here for 30 days from the time the user is deleted. 6. Select the check box next to the user(s) to restore, and then click one of the Restore buttons. 7. A confirmation that the restore was successful should appear, but it will fail if the user(s) already exists in the user list. To prevent this, do not try to recreate a user once deleted.